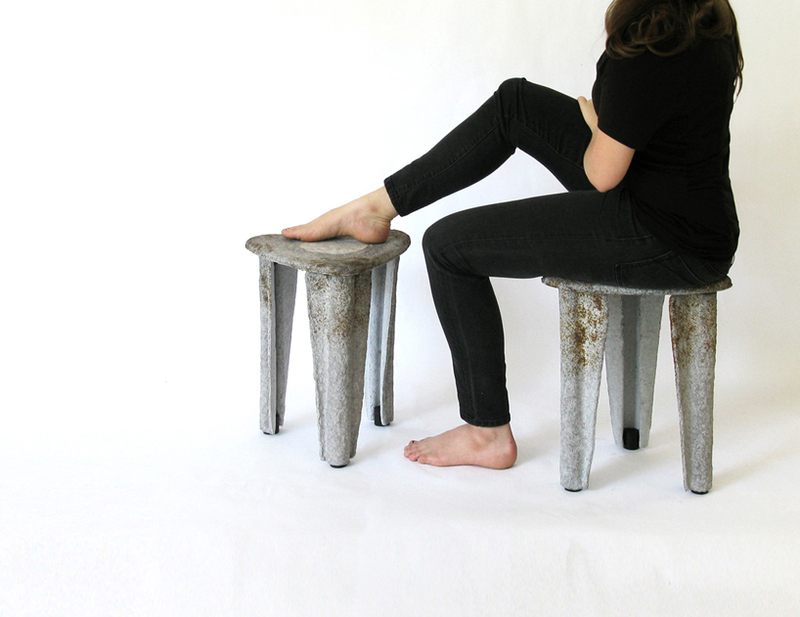 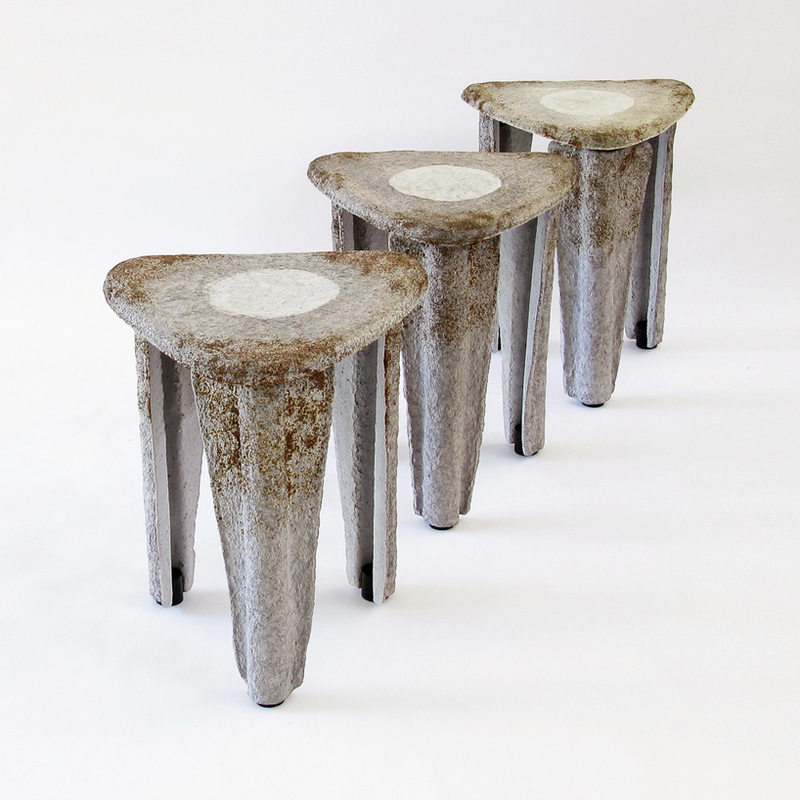 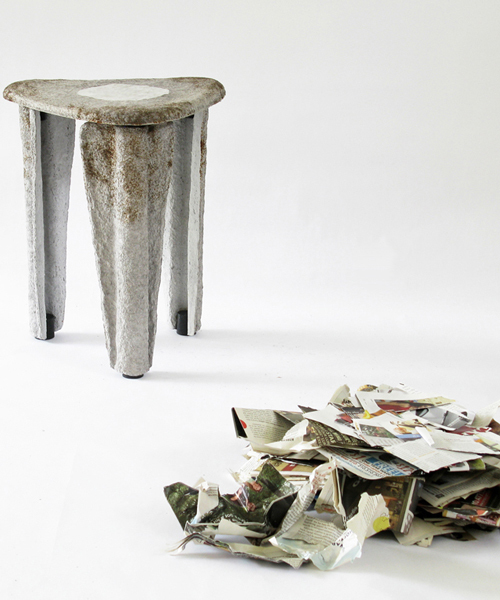 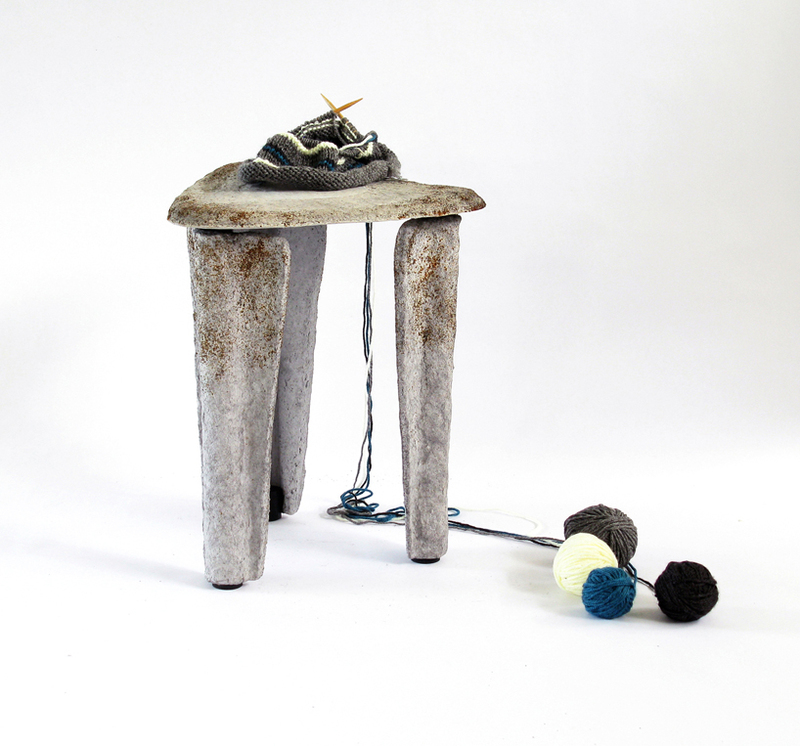 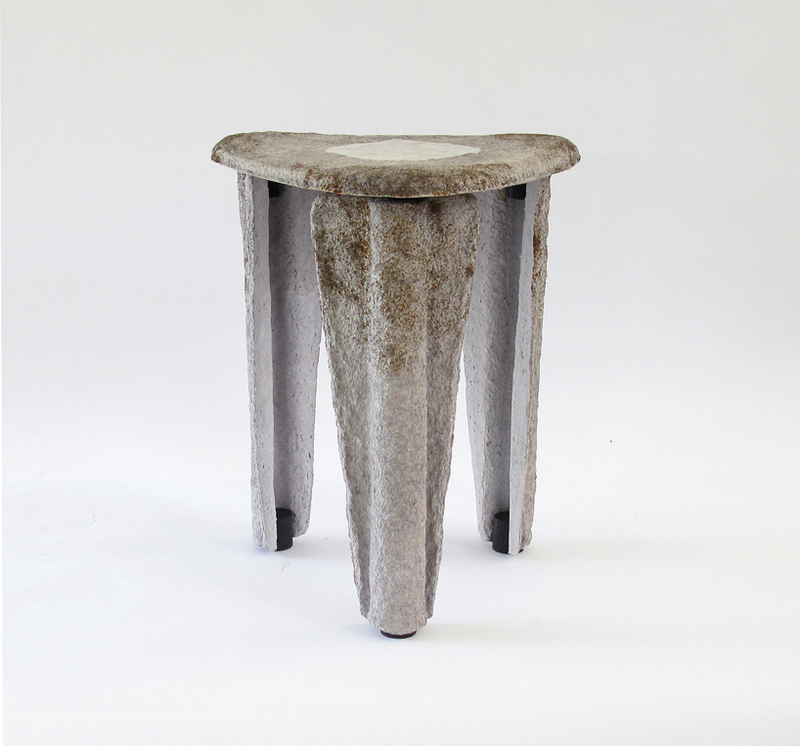 taeg nishimoto’s llegado is a series of stools made of recycled paper pulp that explore the material’s structural strength, and highlight a new kind of authenticity in it. 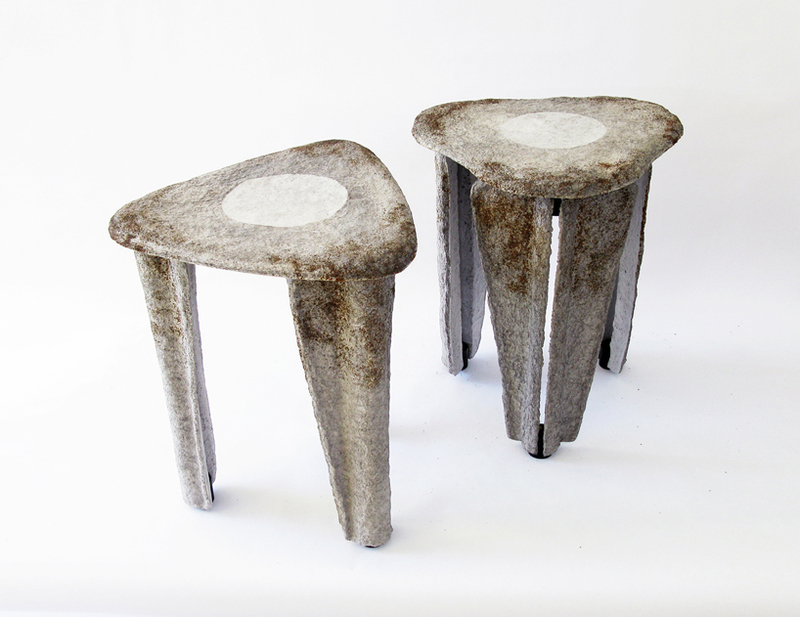 two types of configurations are developed for the legs and the seats, while their resulting image seems to evoke an object of unknown, pre-historic nature, tracing the paper pulp’s journey, which the designer hopes to be felt in its material, visual and tactile associations. 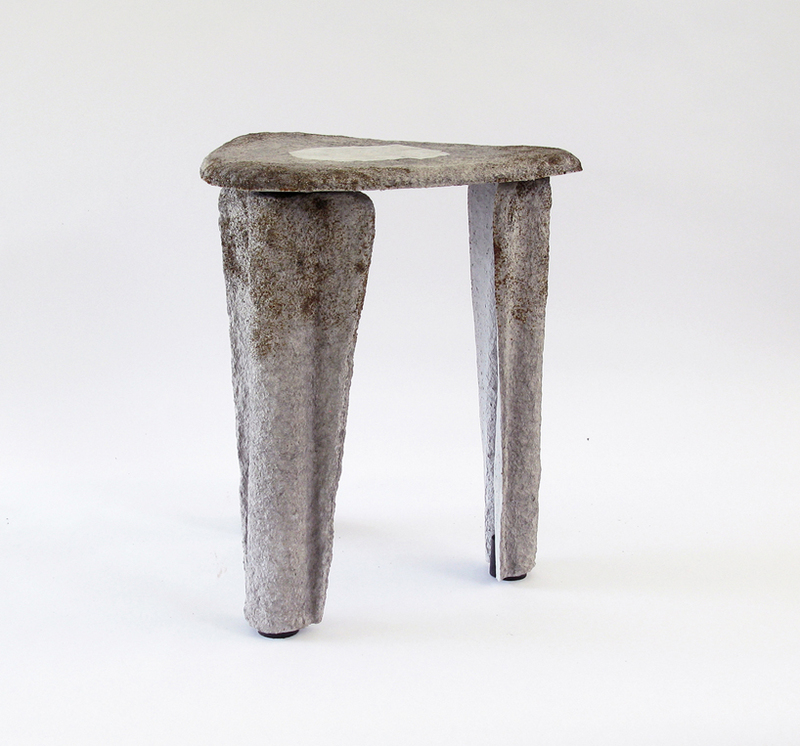 for llegado’s legs, taeg nishimoto follows a process where he wraps a layer of one cm-thick paper pulp mixture around a wood rod that he then leaves to dry for three to four days. 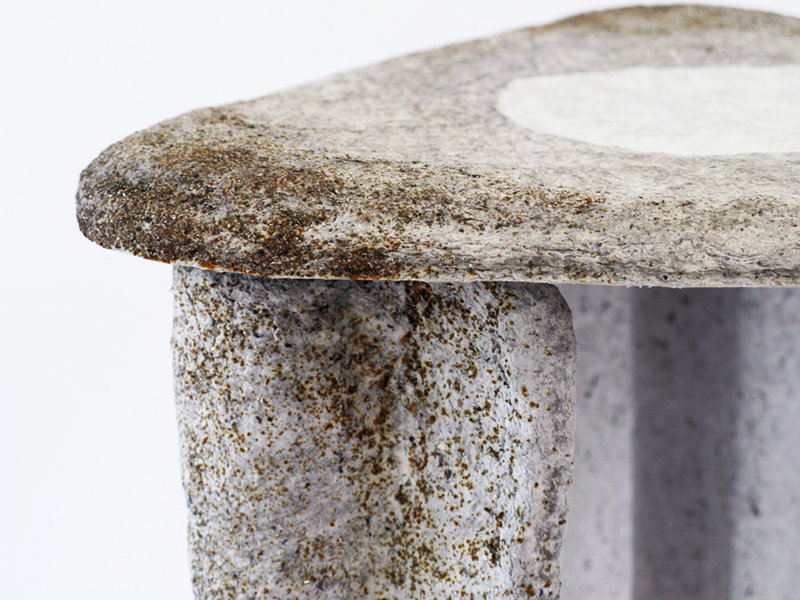 similarly, for the seat, he uses three cm-thick pulp which takes eight to ten days to dry. 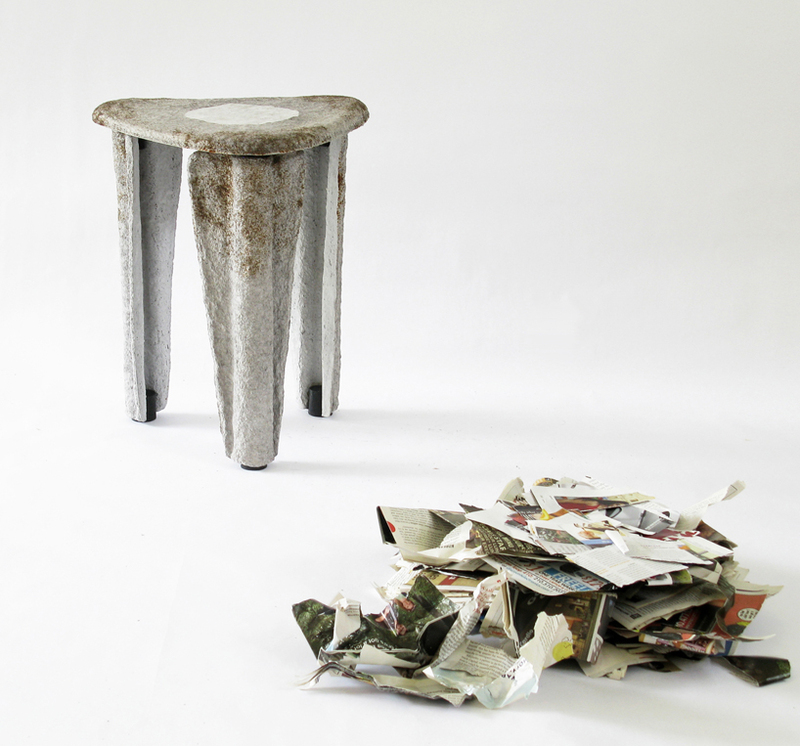 another element employed in this process is fine metal shavings, harvested in a metal shop, and sprinkled on the surface of the wet paper pulp as it dries. 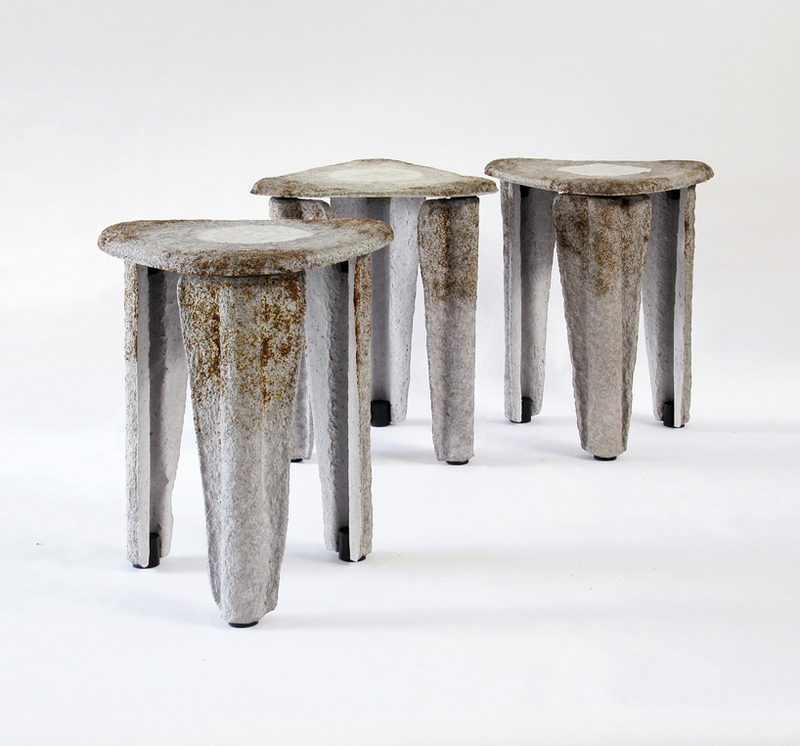 the metal becomes rusted to create a spontaneous and unexpected effect on the surface, reminiscent of the way traditional raku pottery uses glazing. 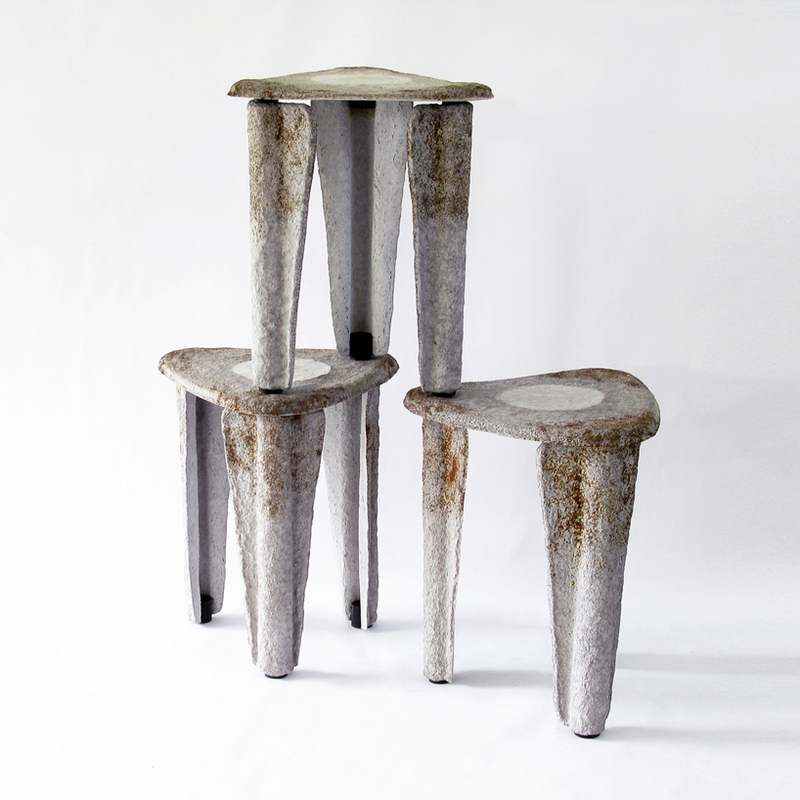 the rusted patterns visually connect the legs and the seat, while creating an individual look for each stool. 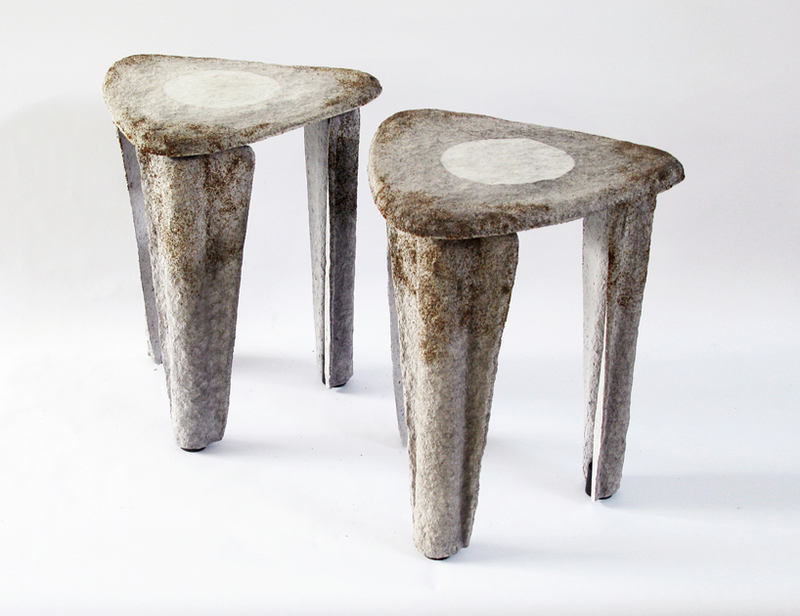 the concave/convex surface of the legs draws attention to both their shape, and to the presence of space under the seat where and interesting interplay between rough and smooth surfaces as well as the light and shadow effects takes place.